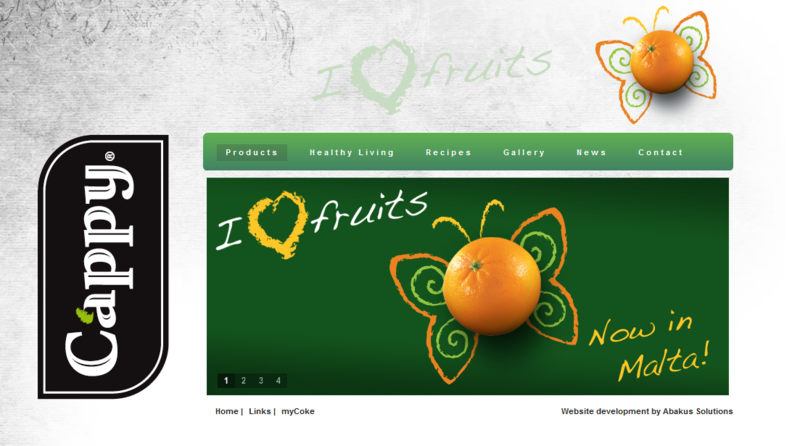 General Soft Drinks Ltd. have entrusted us with yet another project, the launch of the website for Cappy juices. The website for Cappy Juices is a basic site that serves the need of the brand. It has all the relevant information about the product and its variations, information about healthy living and recipes that can be implemented using Cappy Juices. The website also have a photo and video gallery, a news section and a contact section. Visit the website for Cappy Juices at www.cappy.com.mt.